Exceeding expectations rather than simply satisfying them is the cornerstone of the Disney approach to customer service. 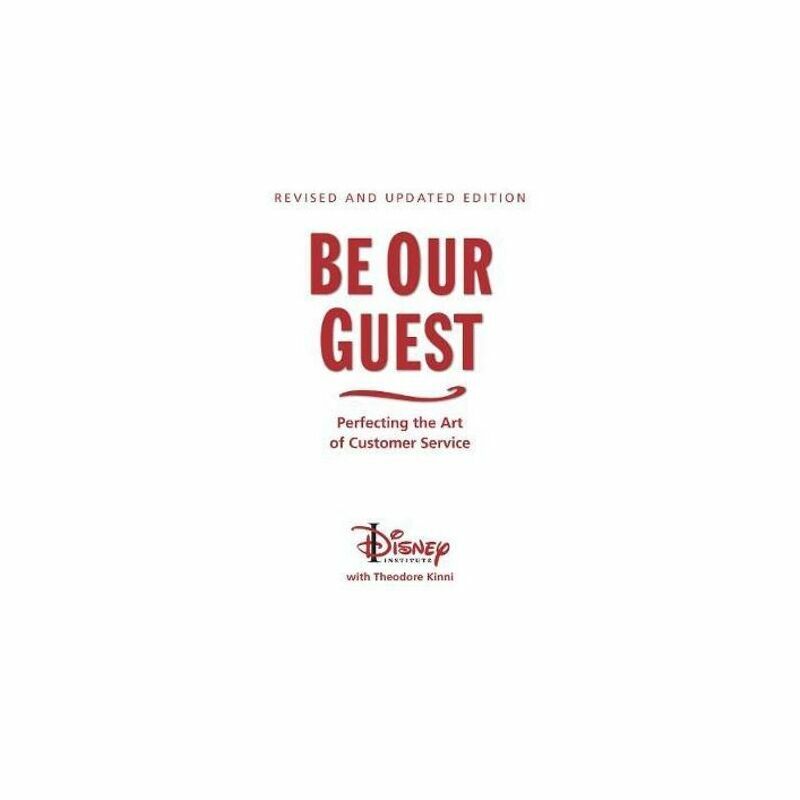 Now, in honor of the tenth anniversary of the original Be Our Guest, Disney Institute, which specializes in helping professionals see new possibilities through concepts not found in the typical workplace, is revealing even more of the business behind the magic of quality service. During the last twenty-five years, thousands of professionals from more than thirty-five countries and more than forty industries have attended business programs at Disney Institute and learned how to adapt the Disney approach for their own organizations. Be Our Guest highlights the successes many of these companies have achieved, plus the key processes and best practices that have made Disney a trusted and revered brand around the world for more than eighty-five years.